New Members Drew & Brain Griffin with some nice chubby bass on Lake Conroe. 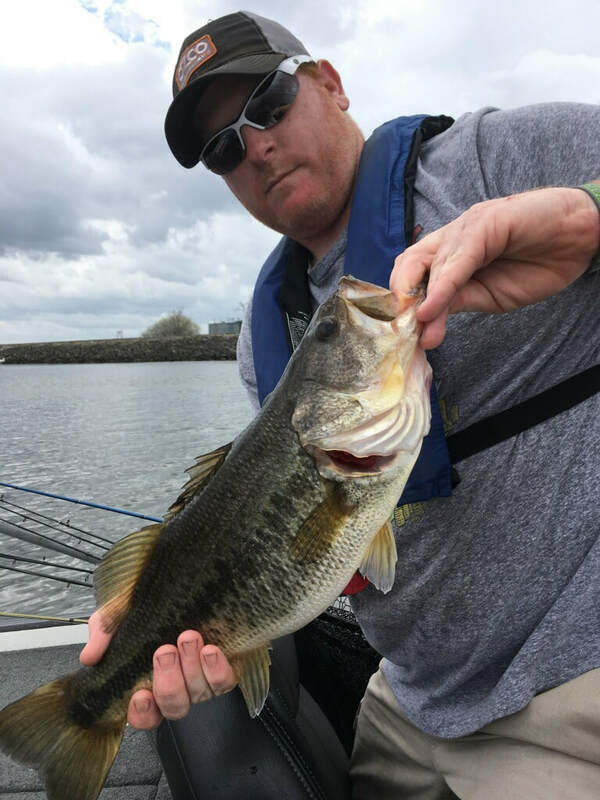 TWBC fished it's 4th tournament and Club Classic for 2019 on Richland Chambers Reservoir. The weather had a say into the fishing! High winds and rain on Saturday and then sunny and high winds on Sunday made for a challenge. We had a great turn out of 19 fishermen. As a group we only managed 18 scorable bass for 52.02 lbs. Richland Chambers proofed to be a challenge! There were only (2) 4 fish stringers brought into the scales on Saturday and (1) 2 fish stringer on Sunday. We did have (3) 5 lb. class bass brought in on Saturday as well. New member Ted Gutierrez managed a 5.77 lb Big Bass for the weekend! Spring is in the air and on the water is where you should be right now! Next month is Lake Murval! Murval never fails on producing lots of fish and some nice chunks as well! 1st Place Eddie Sr with 4 Fish and 14.20 lbs. Ted won Big Bass for the weekend with 5.77 lbs. 1st Place Eddie Sr with 5 Fish and 15.82 lbs. Daniel with a nice chunker from Lake Conroe!